I can’t say that I’m an expert at interviewing celebrities—but I’ve done it enough to offer some advice. Certain questions have succeeded. Certain patterns have emerged. 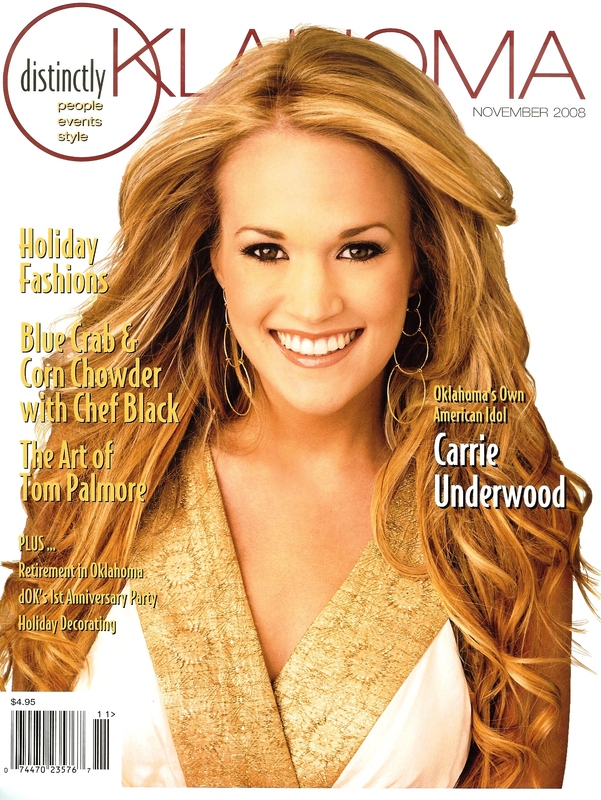 I probably learned the most from Carrie Underwood, because she was my first “big time” celebrity interview in 2008. Of course, I was super nervous. To top it off, a construction crew started hammering away in the office next door, just 10 minutes before our scheduled phone call, so I had to relocate to an unfamiliar office and reset all my recording equipment–leaving me with 30 seconds to catch my breath before the phone rang. Whew! Since then, I’ve found that interviewing celebrities isn’t much different from interviewing business people, local experts, or average citizens. The biggest exception is that I have to dig deeper to get past their overly-practiced answers and find that nugget of information that zillions of fans don’t already know. SO, my number one advice on preparing to interview celebrities is….Do tons of homework first! Yes, this seems obvious–but winging it doesn’t work on a celebrity. Remember, he or she is constantly interviewed—it’s become part of their job description. Don’t bore them with the “usual” questions. Plus, it will be embarrassingly obvious if you are unaware of this person’s current tour schedule, latest award, or most recent break-up. You must have an outline of questions. Don’t hope the celebrity says something relevant to your storyline—guide them down your path. Most of my interviews highlight celebrities who grew up in Oklahoma, so I’m looking for the “down home” information that will help Oklahomans feel like they “know” this person. 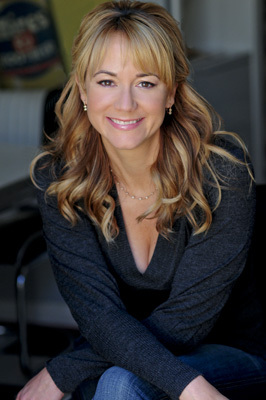 Actress, Megyn Price, grew up in Norman, Oklahoma, so I asked her where she liked to visit when she returned home. Well, this is a well-known local BBQ place. Readers thought it was pretty neat that she eats where “we” eat. And Van’s Pig Stand didn’t mind the free advertising either. That quote would never show up in Entertainment Weekly, but it was unique to my reading audience. It made her more real. Don’t waste precious time asking a celebrity to rehash well-known information—ask them how they felt! Everyone knew Carrie Underwood had won American Idol, so I didn’t need to ask her about that. That year, they wanted to know how she felt when she sang at her first Country Music Awards ceremony. That’s what people wanted to know. And her “brand new celebrity” personality really came through. In 2009, I interviewed Reba McEntire. What a challenge! Try to think of a unique question to ask a mega-celebrity who’s been in the music business over 30 years and interviewed by Oprah multiple times. “By reading, reading, reading, and then talking to anyone who might have some personal insight into the particular star I am talking to.” Walters said. Which led to a rare conversation about Reba’s attempts at gardening while keeping her tour schedule. Kerry Robertson, a well-known Oklahoma television personality and news anchor in the 1980s and 90s, recently shared her own “unusual tidbit” story with me. Robertson described that when celebrities came to town, media interviews were often set up in a hotel room. Media was hustled in and out in 10 or 15 minute intervals. Faced with the same old challenge—“What can I ask this person (don’t know who it was) that all the other news stations haven’t already asked?” Robertson searched for an obscure fact, and found a hidden talent. When she entered the hotel room, she had 3 pieces of fruit in her hand. She said, “I understand you used to juggle when you were younger.” She handed him the fruit. He was surprised, and even though he hadn’t juggled in years, he was able to pick it right back up. Robertson had her unique angle, and it was a fun walk down memory lane for the celebrity. …And Make Sure It’s True! Granted, sometimes those unusual tidbits aren’t well known because they aren’t true! I had this happen with Carrie Underwood. I’d read that she’d gotten her musical ability from her father, who used to sing country music himself. When I asked her about this, she burst into laughter. I was a little bit embarrassed, but I explained that I’d read it on the Internet. We had a good laugh together and it broke the ice for the rest of the interview. Up until that point, she’d sounded fairly rehearsed. But, yes, try to use reputable sources! That’s Part 1 on preparing to interviewing celebrities. Check back to read Part 2, which will cover the “order” and “style” of questions to ask. You are my big star! Great job Amy Dee. Love the tips. And thanks for sharing! Good stuff, Amy. You’re writing some wonderful stories. Great writing. I always look forward to what you have to say. By the way, the same tips hold true for interviewing non-celebrities. You have to do your homework first!!!!! Absolutely, homework is essential for all interviews. However, sometimes I’m faced with a non-celebrity interview who’s involved in a hobby I know nothing about–like horse shows or raising cattle. I research, but try not to over-research so that I can ask the amateur clarifying questions that net me quotes for a non-expert reader. See what I’m saying? But I research the person to the hilt!